Wiley Online Books combine quality content with the convenience, accessibility and enhanced functionality of electronic access. Now featuring over 14,000 monographs, handbooks, dictionaries, companions and landmark book series. Online Book Series deliver landmark research across your institution’s community while eliminating physical volumes and associated administrative demands. Edited by eminent and pioneering scientists, and Nobel Laureates, these volumes feature cutting edge material to inform current research as well as historical overviews suitable for newcomers to the field. Thousands of Wiley Online Books are available in 65 tightly defined subject collections and are offered at significant discounts. You can now meet faculty demand and grow your library's digital book collection. Collections include titles published through 2012 and are available for perpetual access purchase. Online Reference Works range from multi-volume encyclopedias to comprehensive dictionaries, textbooks and handbooks. Available on Wiley Online Library, they offer a rich compendium of knowledge for students, researchers and clinicians. Standing orders for annual updates NOW AVAILABLE! Institutions that have purchased Wiley Electronic Major Reference Works or Blackwell Reference Online are entitled to receive free MARC records via OCLC WorldCat. 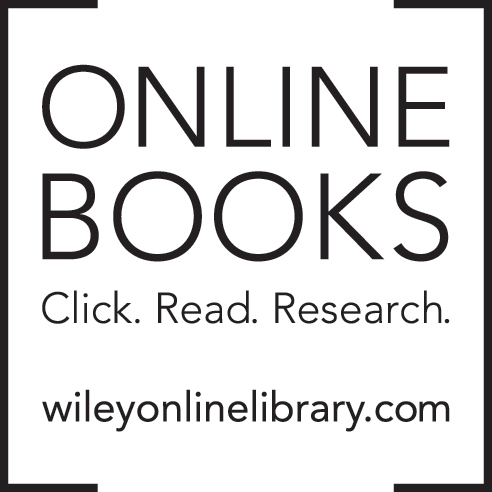 Institutions that have purchased Wiley Online books will receive Enhanced MARC records which include additional Table-of-Content data also via OCLC WorldCat. (*) MARC is the acronym for MAchine-Readable Cataloging. It defines a data format by which computers exchange, use, and interpret bibliographic information, and its data elements make up the foundation of most library online public access catalogs used today.